Local restaurants team up with city and university to support area's needy. 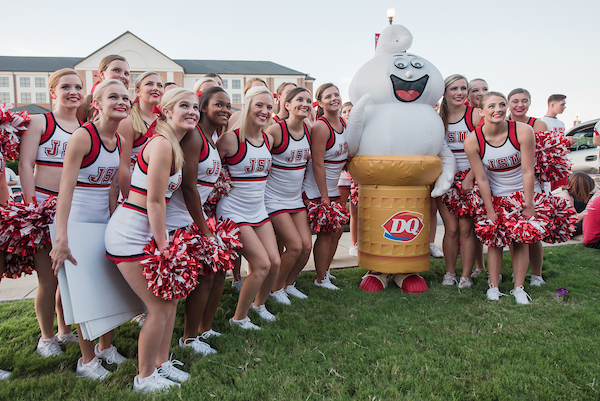 The City of Jacksonville and Jacksonville State University will present the 13th annual Spirit on Mountain Street festival on Thursday, August 23, 6-8 p.m., on Mountain Street in front of JSU Stadium. The festivities will include a free concert by Morgan Wallen, 8-10 p.m., organized by the JSU Dean of Students Office as part of Welcome Week. Local restaurants will dish up samples of popular menu items. Activities will include a Kid’s Zone, a performance by the Kitty Stone Singers, an antique car show, a cake auction, a Sonic hotdog eating contest and a corn hole tournament. Admission is free and open to the public. Food tastings and activities cost $1 per ticket, available for purchase at the gate. Proceeds benefit the Jacksonville Christian Outreach Center (JCOC), a non-profit organization governed by representatives from more than 20 participating churches throughout the Jacksonville area. It combines the benevolence of area churches to better assist those in need in the community. Questions about Spirit on Mountain Street? Contact David Glass at 256-591-6462 or david@calhouncountyinsurance.com.